Some headphones contain stereo splitting circuits that will effectively prevent bilateral sounds from being generated. A stereo splitter circuit forces sound to both ear pieces and changes the volume levels between the two sides. As a result bilateral sounds will be heard in both ears. 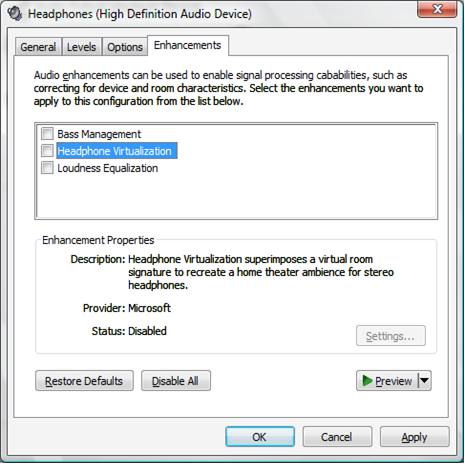 Also, some sound cards activate a "Stereo Virtualisation" filter when they detect that headphones are plugged in. This filter has the same effect as a stereo splitter circuit. 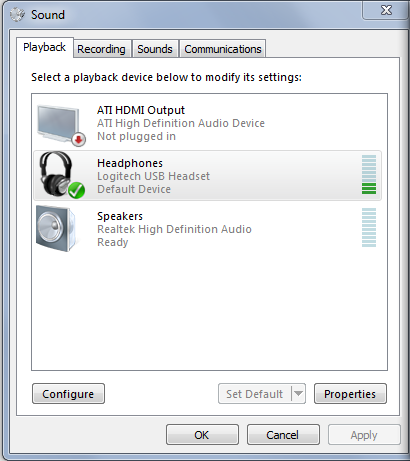 Additionally on some systems with some headsets it may not be possible to bilaterally pan mono files using the background sound player. Mono files should be converted to stereo files or the large media player should be used instead.